Last year, the FIA introduced us to an all-new racing series in which all of the cars were powered entirely by electricity. Named Formula-E, the series saw cars reminiscent of Formula One or Indy Cars competing in exciting races through some of the world’s most prominent cities. After a successful first season, the creators of the event have now announced that they will launch a new motorsport series named ‘RoboRace’ that will run as part of Formula E.
It has been recently revealed that this base API and brain will be supplied by Nvidia, a visual computing company from California that has become synonymous with autonomous vehicle technology. The announcement, which came at CES earlier this year, states that all cars in Roborace shall feature Nvidia’s all-new PX 2 platform – a platform that has been praised as the world’s first in-car super computer. With all cars being identical in power and aerodynamics, it’s the team’s use of this platform that will determine the cars performance – “Self-driving races will be won or lost by software engineers” (Pete Bigelow. Autoblog). The task of designing these truly futuristic identical cars has fallen upon Daniel Simon, an automotive futurist who has worked on concept designs for a multitude of vehicle manufacturers, racing teams and even Hollywood films like Tron: Legacy. Looking to create something that was more than just a futuristic looking car, Daniel’s aim was to “imagine what a car will look like not just tomorrow but the day after tomorrow”. As we’re sure you’ll agree, the concept artwork of ‘Robocar’ certainly seems to fit the design specification and wouldn’t look out of place in the next futuristic sci-fi blockbuster. Whilst RoboRace certainly seems like it’ll be the perfect proving ground for autonomous technology, it also has its problems. After the announcement of the series, there has been a plethora of concerns from both motorsport fans and the media that the sport may lack the excitement that is achieved by conventional motorsports. Autonomous vehicles are incredibly clever and in theory should be able to outrun a human due to being almost infallible in terms of driving ability - using the perfect racing line and such – however, the entertaining element of any sport has always come due to the fallibility of human beings and the ability to take almost unnecessary risks in the pursuit of victory; something that an autonomous vehicle cannot necessarily be programmed to understand. The technology and programming that the teams will use is still very much in the air and it remains to be seen just how interesting the sport will prove to be. 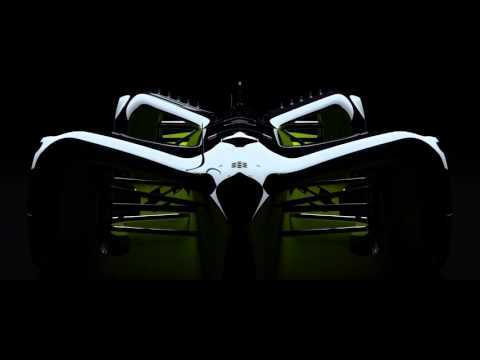 If nothing else, RoboRace will almost definitely fulfil its main role of boosting the profile of autonomous technology and proving that the technology required in creating fully working autonomous vehicles is already available. As with Formula E, which has now helped companies to develop new technologies such as wireless charging, the sport should help to speed up the research and innovation in the field of autonomous vehicles due to teams always wanting to be at the front of the pack. The inaugural RoboRace season should take place later this year and will certainly be a spectacle. No teams have been announced but Formula E and Kinetik have promised further details and announcements are coming soon. The controversial new motorsport has received mixed feelings in the office, what are your thoughts on the new series? Join the conversation on Facebook and Twitter.